Visala, California – Two UFC veterans has split their debuts in the latest event of Bellator that was held this Friday in Visalia Convention Center, Visalia California. Bellator 102 has featured a pair of heavyweight and middleweight semifinal bouts as well the bantamweight tournament finals. The two UFC veterans, Cheick Kongo and Lavar Johnson were expected to blow out their opponents but only one of them earned a win in their promotional debut. Cheick Kongo (19-8-2) has won his Bellator debut by stopping Mark Godbeer (8 – 2) in the second round of their semifinal bout. 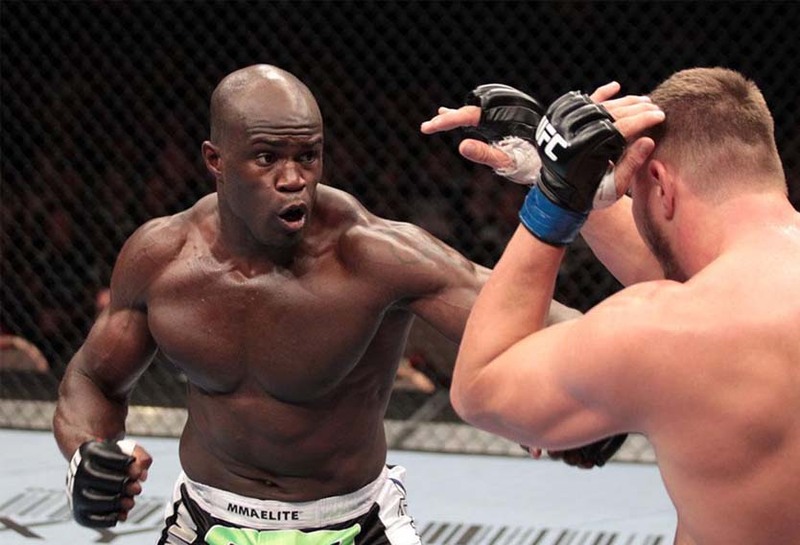 After an uneventful first round, Kongo slipped a haymaker and moved around to his opponent’s back. He then delivered his patented vicious knees in the clinch when Godbeer attempted to reverse the position. The overmatched Englishman tried to cover but he later crumpled in the floor due to the strikes. Big John McCarthy stopped the fight at 2:04 mark of the round. The win advances Kongo into the finals where he will meet Vinicius Queiroz, the man who has just beaten his fellow UFC veteran Lavar Johnson. Going into the fight, many had thought that it will be just a matter of time before Lavar Johnson clips Queiroz and it will be over in favor of the heavy handed UFC veteran. The Brazilian however, shocked the crowd and took out Johnson before he can even warm up in the cage. He countered Johnson’s lazy jab with a hard right cross to the chin that knocked the consciousness out of the veteran. Johnson fall face-first into the canvass and Queiroz followed him up with a barrage of punches. The strikes seem to awaken Johnson but the referee has waved it off and the fight was finished in just 23 seconds after the opening bell. In the bantamweight tournament finals, Rafael Silva defeated Anthony Leone by unanimous decision. He dominated the grappling game with his multiple submission attempts. He did not get the finish but Leone does not have anything going for him in the entire fight. With the win, Silva earned the spot to challenge the reigning bantamweight champion Eduardo Dantas in his next fight schedule.